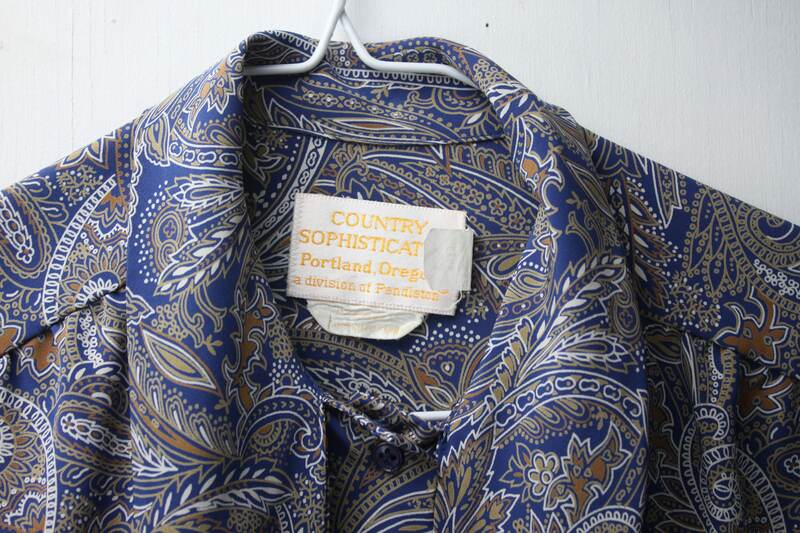 This vintage blouse by Country Sophisticates is in stunning condition! 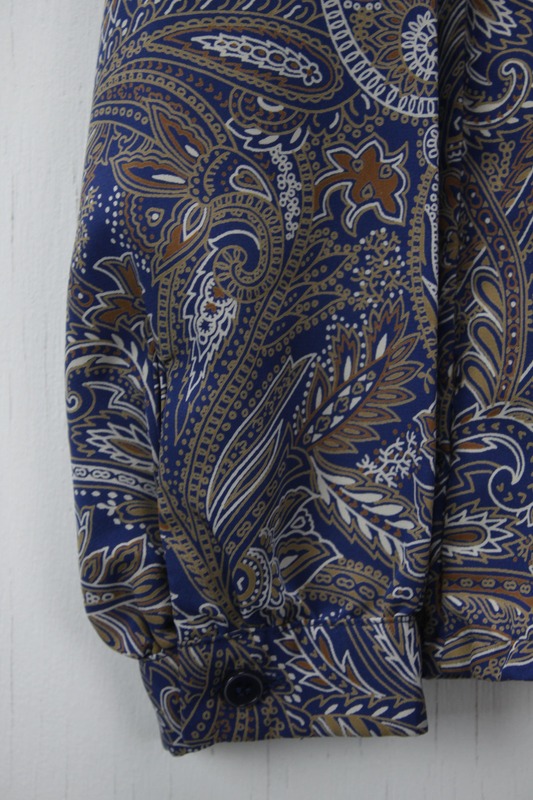 Made from 100 polyester fabric. 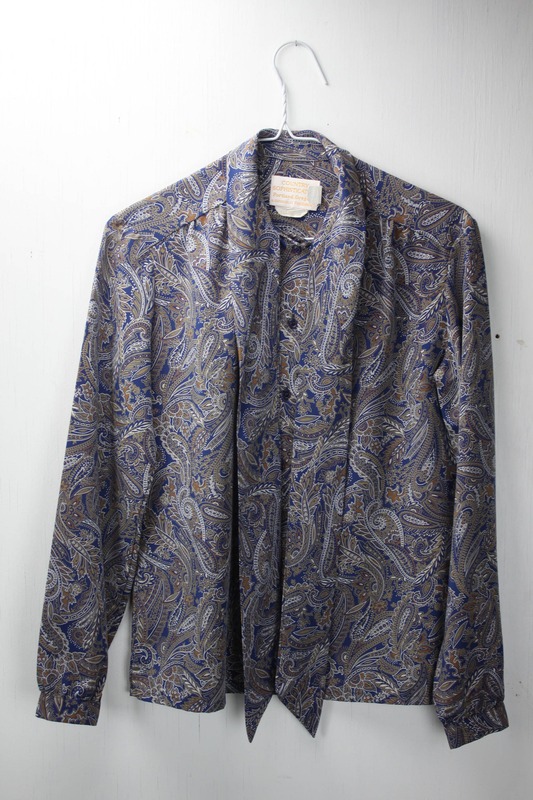 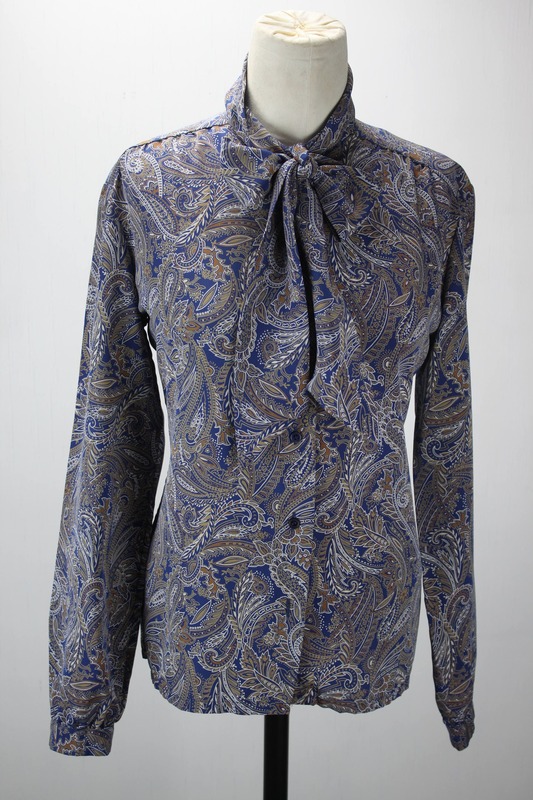 The blouse features a traditional mid century blouse design with a paisley presentation. 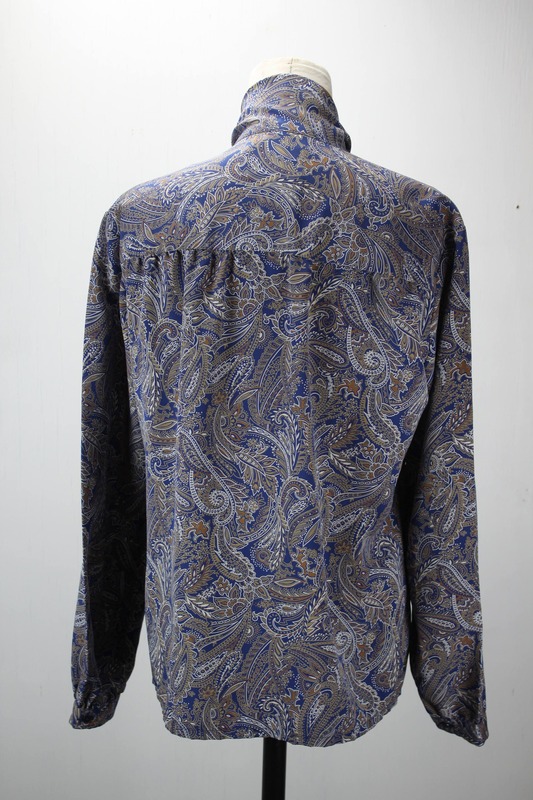 This shirt has a 6 button front closure, bow tie collar and single button cuffs.